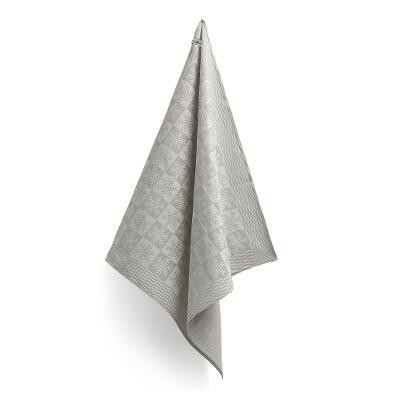 The Rijksmuseum Art Tea Towel is made from Jacquard woven cotton and produced by the Dutch Textile museum. 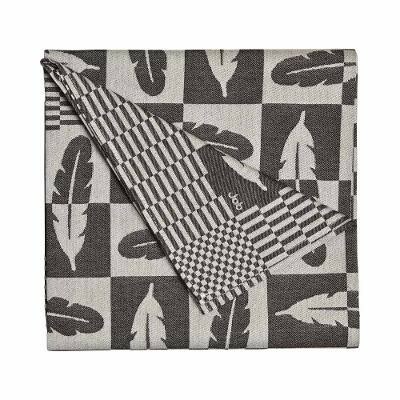 The block pattern details vary with each teatowel. The grey kitchen towel features a snowflake from the painting by Hendrik Avercamp, "Winter landscape with skaters". 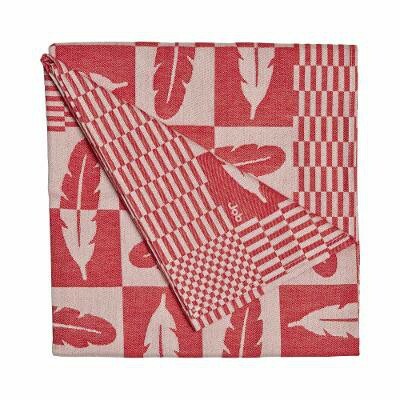 The red and black tea towels feature the feather from Rembrandt's Night Watch. 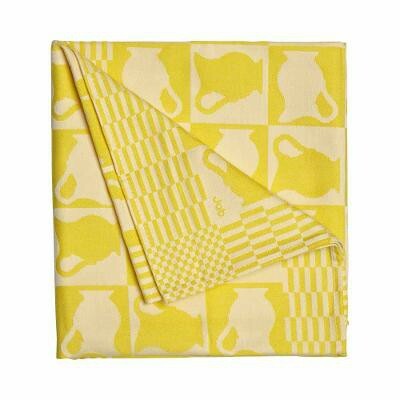 The yellow and blue Art Tea Towel's block pattern uses the milk jug from "The Milkmaid" by Johannes Vermeer. These world-renowned paintings can all be seen in the Rijksmuseum's collection. The Rijksmuseum is the most iconic museum in the Netherlands. The completely revamped museum reopened its doors to the public in 2013, from the renovated Cuypers Cathedral on Museumplein (Museum Square) in Amsterdam. A breathtaking building with an amazing interior and beautiful exhibitions. The Rijksmuseum is more than 200 years old and has had several locations. In 1885, the museum moved into the Cuypers Cathedral and the Rijks, as we know it today, was officially opened. Are you interested in Dutch art and a fan of the Rijksmuseum's masterpieces? But you are unable to visit the museum as often as you'd like? These Tea towels literally bring the art of Vermeer, Rembrandt, or Avercamp into your kitchen. Also take a look at the Art Tea Towel Tulip with image by Marrel!